You know when a fabric is so soft, fluffy, and soothing that you just can’t help but touch it? That’s what the plush trend is all about, and it’s here to make your fall wardrobe a whole lot more cozy. Plush encompasses all of the most touchable textiles, from faux furs and shearlings to velour and curly wool. 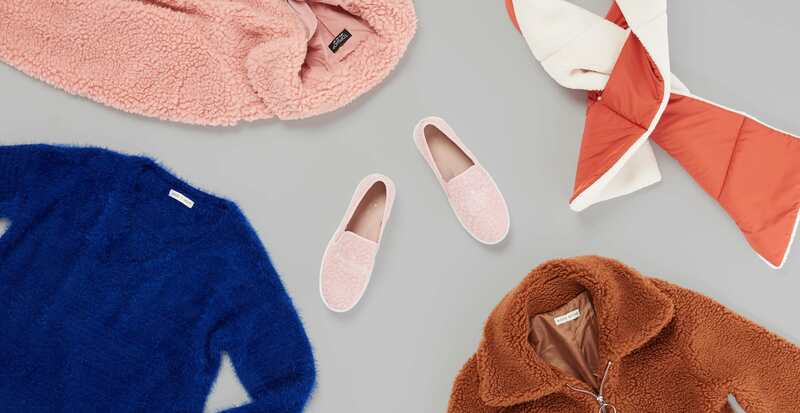 And it’s not just huggable softness we’re after when we pull on a teddy bear-esque bomber or a chenille sweater—we’re seeing this trend all over the runways and the street. You heard it here first: Comfy is the new chic! Eager to add this warm, stylish fabric to your fall look? Here are three ways to work it into your closet now. Clean lines and simple shapes have their place in fashion, but not here. We’re currently loving outerwear that adds a dose of volume to a basic autumn outfit. 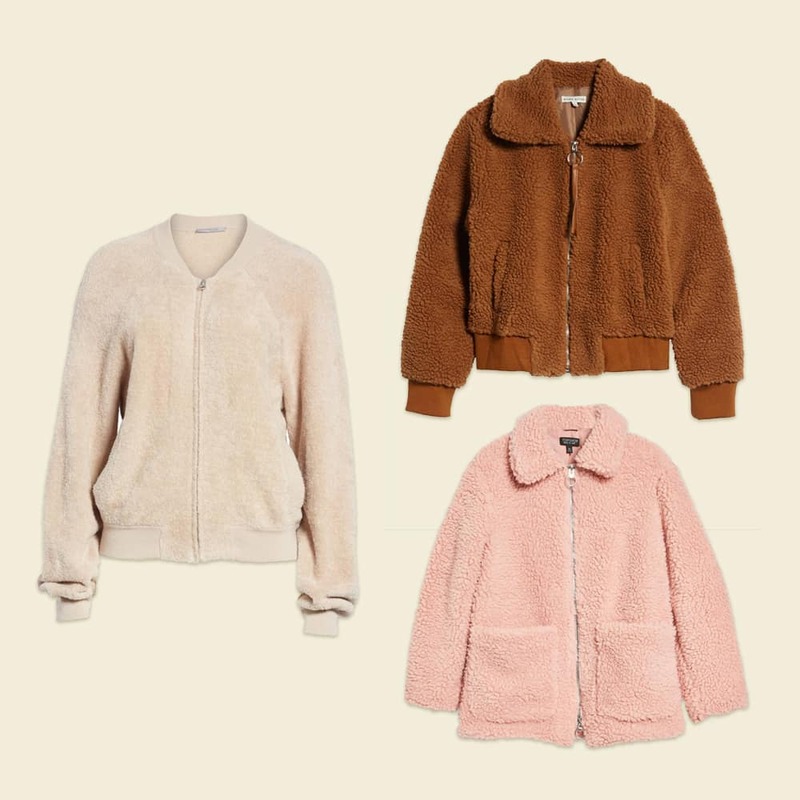 A faux-fur bomber in shades of brown or tan looks chic without overwhelming your figure, and the cloud-like softness of a faux shearling jacket in blush pink makes you want to snuggle up. This is the kind of piece you can toss on over jeans and a tee, and be equal parts comfy and trendy. Sweater weather is getting new meaning with plush pullovers and ultra-comfy shirts. 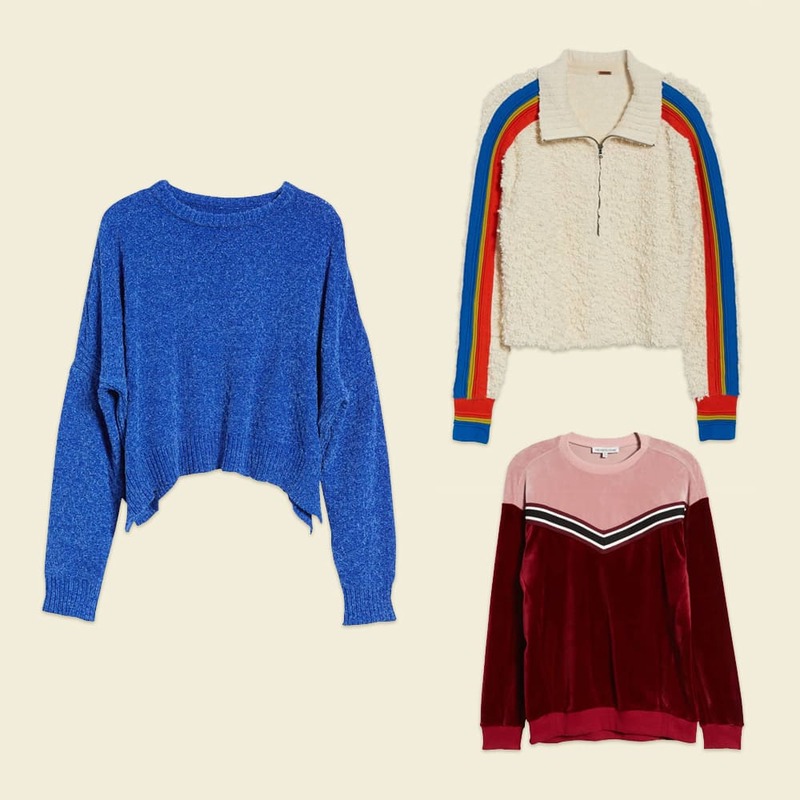 Tops on our radar include relaxed, roomy sweaters in welcoming colors (best worn with a slim-fit pant, like your favorite skinny jeans), sporty half-zip pullovers, and retro-inspired sweatshirts with a smooth velour texture. For a “less is more” approach, look for accessories that add just a hint of marshmallow softness to your wardrobe this season. 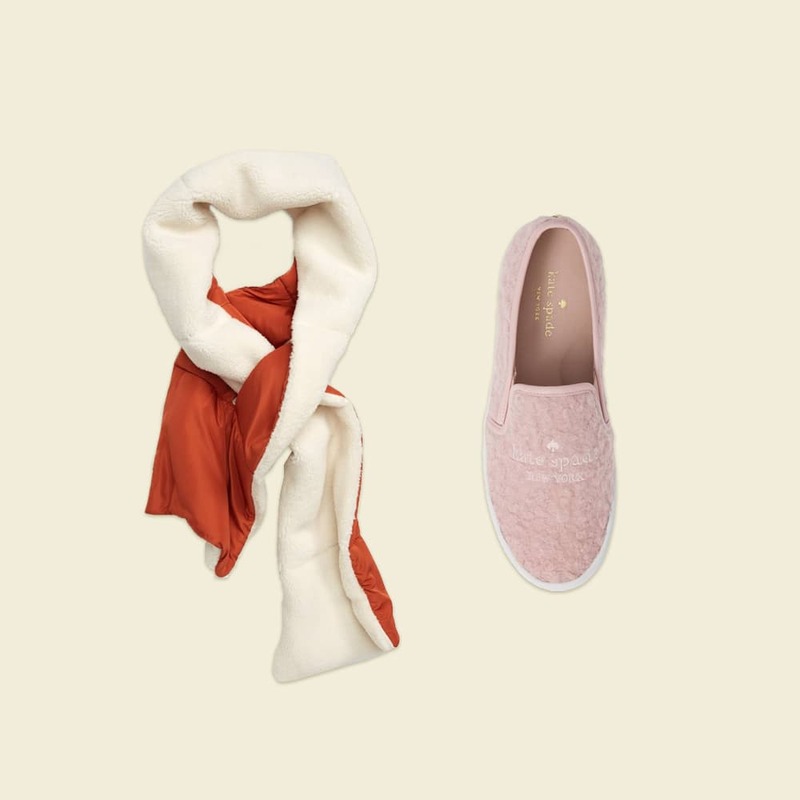 A faux shearling puffer scarf in a pop color will take the edge off your look and add a bit of warmth, or go super feminine with a fall pastel in touchable curly wool.